Welcome to the Tech Hub Network family, Capital Factory! Austin is home to some of the best barbecue in the country, a killer live music scene, and an energy that can match any other city in the world. It’s no coincidence, then, that it’s also home to some of the most creative entrepreneurs out there, which is why we’re pleased to welcome Capital Factory, an Austin-based incubator and co-working space for startups, to the Google for Entrepreneurs Tech Hub Network. The city’s thriving startup community and deep bench of engineering talent, combined with its natural creativity and eclecticism, make it the perfect place to expand. Capital Factory is the eighth space to join the Network, a group of partner organizations across the U.S. that does everything from hosting accelerator programs for talented developers to providing desks for entrepreneurs. 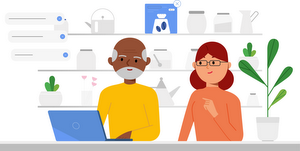 Google for Entrepreneurs provides funding to all the hubs and give them access to mentorship opportunities and Google products. In just over six months, the Tech Hub Network is already having a dramatic effect on entrepreneurs around North America. Seventy-one percent of startups say their hub is having a significant impact on their growth, and companies from the Network have raised more than $50 million and created 1,200 jobs since becoming members. Just last month, we hosted a Demo Day for these hubs, where 10 startups raised millions of dollars to help grow their businesses. To give these entrepreneurs an even greater boost going forward, starting today anyone who works in one of the eight tech hubs or Google’s Campus London and Tel Aviv will be able to work for free from the other member spaces when traveling. This will give startups a home base when they’re on the road, and the chance to spread and exchange ideas from city to city. Not too long ago, Google was just a small startup in a garage. Now that we’ve grown up a bit, we want to give others a place where they can work on their ideas, and feed off each other’s creativity and ingenuity. Capital Factory is no exception. So, get your boots on, Austin entrepreneurs—we can’t wait to see how your growing startup community plays its part in keeping Austin weird.